For the first time in half a decade, the Vols have landed a five-star recruit in basketball. 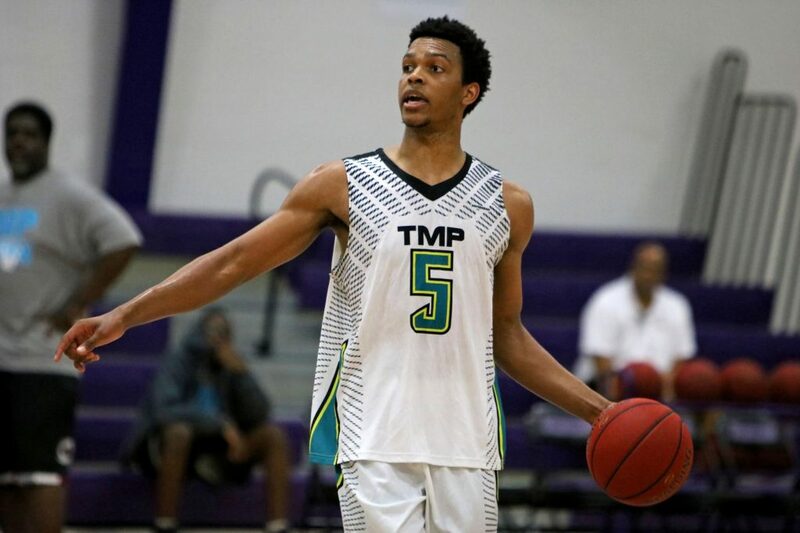 Five-star guard Josiah James announced on Wednesday morning that he intends to play for the Vols in college. The 6-foot-6, 198-pound guard from Porter-Gaud School in Charleston, South Carolina picked the Vols over his finalists of Duke and Clemson. According to the 247Sports Composite rankings, James is the No. 14 overall player and No. 3 combo guard in the 2019 recruiting class. Though he’s listed as a combo guard, he’ll be playing point guard for Tennessee. He’s the highest-rated player that Rick Barnes has picked up a commitment from since he became the head coach of Tennessee, and he’s the highest-rated player the Vols have landed since they signed five-star Robert Hubbs in the 2013 class. If James ultimately signs with Tennessee, he’ll be only the fourth five-star player to sign with the Vols in basketball in the modern recruiting era (dating back to 2008). Scotty Hopson (2008), Tobias Harris (2010), and Hubbs (2013) are the only other five-stars to sign with Tennessee in men’s basketball over the last decade. Get more of our recruiting coverage including interviews, in-depth analysis, and much more by becoming a member of RTI Premium today! James has not only been a standout in high school and on the summer circuit, but he played with the USA Under 18 team this summer as well and looked solid along with the other five-stars and top competitors on the team. James’ height and athleticism gives him a great deal of versatility. He has the skill set to excel at any position no matter what, and his versatility should help him find playing time easier than most other freshmen guards. But Tennessee is looking at him as purely a point guard first. James’ size and separate him from most other guards. James has the passing and awareness to develop into a quality point guard, and he also has a smooth shooting release. The lefty can also cut and slash to the basket effectively and is rangy like a small forward. He’s a very versatile player who is also pesky on defense. In fact, his defense is what separates him from some other guards in this class, and his height helps him out there as well. His defensive versatility should be particularly intriguing to UT’s staff. In nine recorded games from this past high school season on PrepCircuit.com, James averaged 11.3 points, 8.2 rebounds, and five assists as a junior for Porter-Gaud High School. In six games for the USA U18 Team, he averaged 5.3 points, six rebounds, 1.8 assists, and 1.2 steals in 16.3 minutes per contest according to FIBA. The Vols now have three commitments in their 2019 class. James joins three-star forward and Bearden standout Drew Pember and three-star forward Davonte Gaines from New York in Tennessee’s 2019 recruiting class. Can Pruitt Buck Recent Trend Among UT Head Coaches?